Atlantic Realty Development refinanced its 270-unit rental building in Gowanus with a $90 million loan from Northwestern Mutual Life Insurance, property records filed with the city Tuesday show. 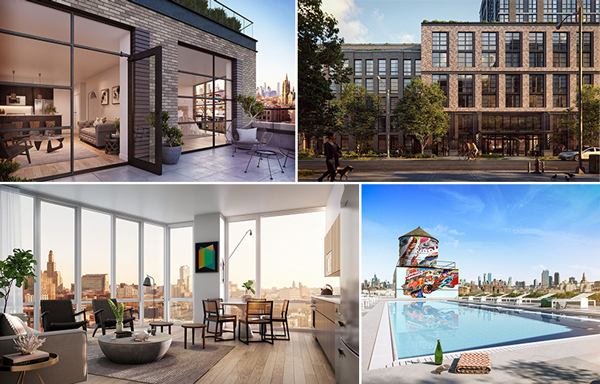 Northwestern provided $10 million in new debt and consolidated an $80 million construction loan PNC Bank had issued last year on the project at 363 Bond Street on the Gowanus Canal, according to records. Representatives for Atlantic Realty and Northwestern were not immediately available for comment. Woodbridge, New Jersey-based Atlantic bought the site in 2015 from David Lichtenstein’s Lightstone Group for $75 million. Lightstone developed the neighboring apartment building, the 430-unit 365 Bond Street after purchasing both properties in 2013 for $6.9 million from Toll Brothers, which had previously planned to build 450 condos on the site. Douglas Elliman Development Marketing scheduled an open house for Tuesday at the building, according to Streeteasy. The affordable-housing lottery for 54 below-market units at Atlantic’s building launched in May. That same month, Lightstone refinanced its building with a $120 million loan from Canyon Capital Realty Advisors. Northwestern earlier this year lent $160 million on the Park Tower Group’s 36-story office building at 535 Madison Avenue. Toll Brothers had secured a spot rezoning for the Gowanus site in 2009, and in the following years investors have snapped up almost all the available development sites as the federal government cleans up the toxic canal and the city once again mulls rezoning the neighborhood.